That means it’s time to decorate the tree, brew up some hot apple cider, and turn on your favorite holiday classics. It’s the most wonderful time of the year! But if you’re trying to get out of debt, you might be dreading the holiday season instead of looking forward to it. 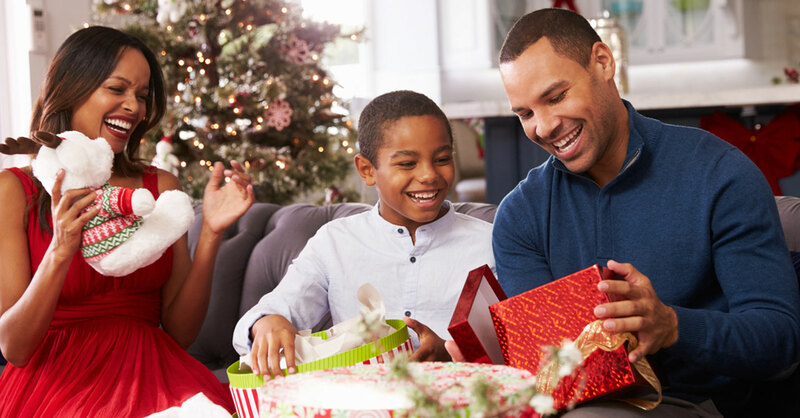 Can you keep making extra payments on your debt and still buy presents for everyone on your list? Even if you spend just $20 on each person, those numbers add up—and fast! Well, guess what? You can still give gifts and keep your debt snowball rolling. All you need to do is get creative. So set your Christmas budget (no matter how big or small) and get ready to think outside the box! 1. Get crafty. If you’re handy with a glue gun, your options here are limitless. The world—or Pinterest, at least—is your oyster! You could create a photo album, put together a family cookbook, or even paint a canvas if you’re artistic. Whatever you do, just go easy on the glitter. 2. Give your time. Spend your time instead of your money. Offer to shovel someone’s driveway, run their errands, or even clean their kitchen. A little elbow grease can go a long way. 3. Offer to babysit. You probably know someone with kids! Offering to babysit for someone you know might be better than any brightly wrapped present under the tree. Now they can go get their Christmas shopping done—or just have some good old-fashioned alone time! 4. Write a heartfelt letter. If you know someone whose love language is words of affirmation, this is the perfect gift for them—and it won’t cost you an arm and leg. Consider handwriting your letter and putting it in a picture frame. Ultra classy, but easy on the wallet! 5. Bake homemade treats. Who doesn’t want to chow down on some cozy Christmas goodies this time of year? Whip out a baking sheet and a bag of flour then go to town. You don’t even need wrapping paper. Just pick up some cling wrap or craft paper and tie it with ribbon. Presto! With just a little creativity, you’ll be on your way to a merry Christmas indeed! Stay on track with your debt payments and Christmas spending by creating an EveryDollar budget. It’s free to use and takes less than 10 minutes to set up!